Convert emails from Gmail, Yahoo and other services to PDF, DOC. Combine multiple emails into one PDF, TIFF, DOC, HTML, TXT or JPEG file. Generate a report about your emails in PDF, TXT, HTML, CSV, XLS formats. The Pro version can also convert attachments! Add headers and footers to the output file, including page number, date or any other customized text (i.e. stamp bates). More unique options.. Whether you're looking to save space by archiving past emails, share a folder's worth of emails with a co-worker, or create advanced reports, the Total Webmail Converter can help. Download your free trial copy today (valid for 30 days). "Thanks for the email. I'm not fully used to the software yet - have done a bit of gmail backing up but yet to do the full job. On first use, it seems very good though - better that the other programs I've tried in the past (GmailKeeper, Aid4Mail and one or two others). Both really - simple to use (though I've not fully checked it out) and the pdf files are clear (one of the other programs printed text in yellow for some reason)." Rob Harper Watermill Environment Ltd.
"I use Webmail converter to save copies of my emails before I retire. I like the interface, it's very logic without any unwanted messages. I had a small struggle with Gmail not wanting to give access to your app, but after it was settled everything went smoothly. Thank you." Total Webmail Converter converts emails from Gmail, Windows Live Mail, Yahoo, Lotus, Outlook.com, etc. Migrate to Office Outlook by converting your emails into one PST file. Combine several emails into one multi-page document (PDF, DOC, TIFF or a very long TXT file). Sometimes emails contain links to images in the web. 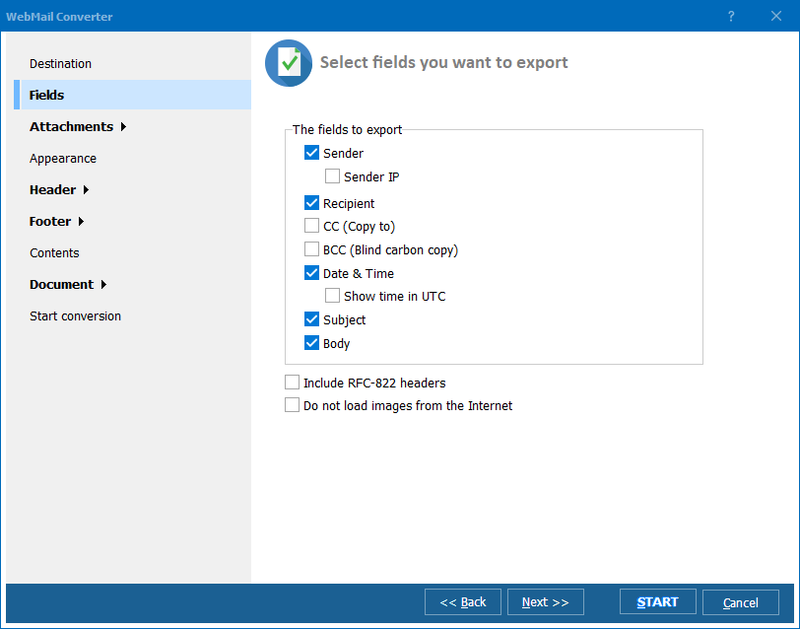 If you want you can save time and traffic and tell Total Webmail Converter not to access internet for images" option. Aren't attachments as important as email bodies? Total Webmail Converter can keep attached files intact and save to the same or a new folder. The Pro version will convert them to PDF, DOC, etc. together with emails. Want to sort emails by sender or date? Get detailed reports about your emails in PDF, DOC, XLS, CSV formats. Just click Report button the main menu. 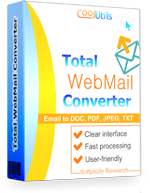 Total Webmail Converter is built around a clear, easy-to-follow interface. 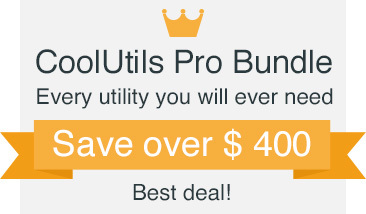 The widest list of output file types: convert emails to PDF, HTML, XHTML, DOC, XPS, TXT, TIFF, JPEG, RTF and EML! Migrate to EML based clients by converting your emails to EML. Archive old emails as regular PDF or Doc files on you hard drive to easily refer to them later without any email app. 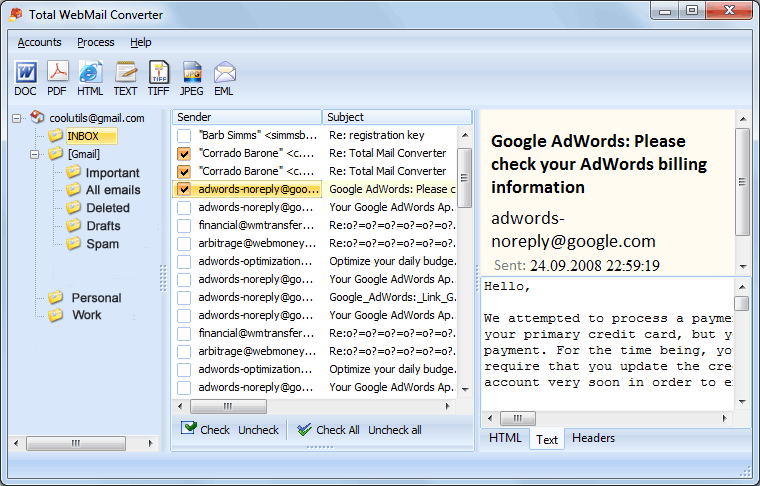 Unlike other email converters Total Webmail Converter will selectively convert email fields (sender, recipient, date, subject, body, sender ip, cc, bcc). How to deal with emails received from different time zones? Total Webmail Converter is able to switch the dates to Coordinated Universal Time (UTC) to keep them in the right chronological order. When you convert emails to PDF you can set user permissions, sign with your digital signature, or define document properties. Note that you can get PDF, PDF/A and non-searchable PDFs. Run Total Webmail Converter via command line (can be auto generated from GUI settings). Give your emails new descriptive names using the email's elements like sender, date, subject, etc. 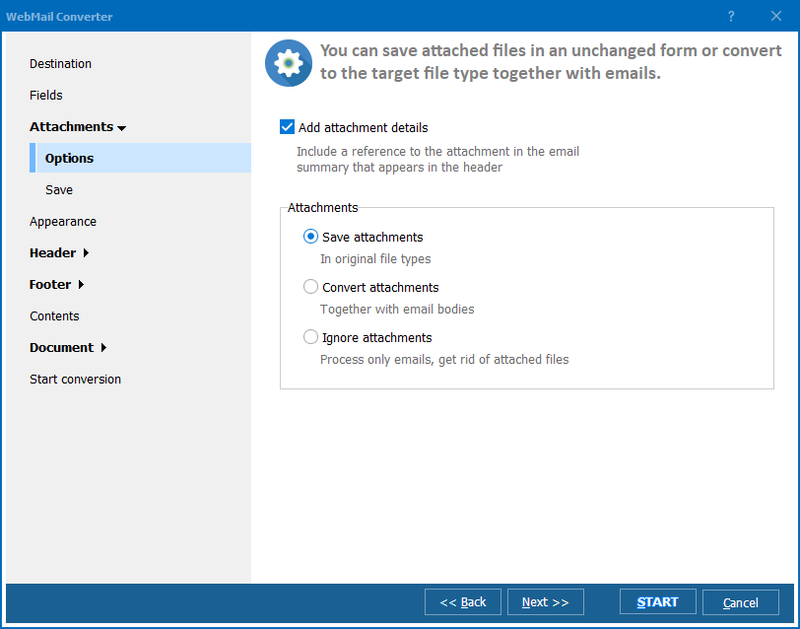 Attachments can be renamed as well to know which attachment refers to which email. Export Hotmail Emails to PDF in three steps.